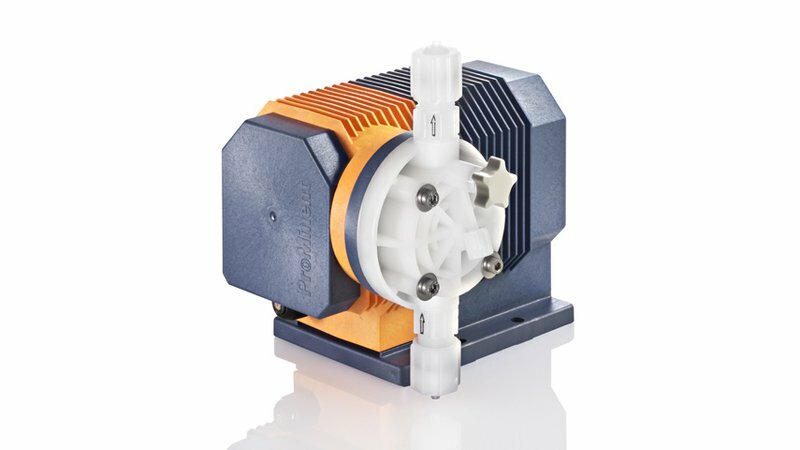 Motor driven diaphragm metering pump designed for simple operations. It is especially suited to continuous dosing. Used for generating pressure and preventing backflow. Used to generate a constant back pressure for precise dosing and/or to protect against overdosing, or for dosing accuracy with an open discharge or a positive pressure on the suction side. Used with pulsation dampeners to produce low-pulsation dosing. For connection at the end of the suction line. Used to create pressure and to prevent return flow. Important: Injection valves are not intended as completely sealed units. Float switches enable problem-free and flexible integration of metering pumps into automatic control loops. For ProMinent® solenoid pumps consisting of foot valve, adjustable retaining tube with screw connection and intake line. Consisting of foot valve, retaining tube and screw connection, intake hose. for metering pumps and accessories. We recommend using the original lines to ensure the mechanical connection in case of clamping ring fittings as well as compressive strength and chemical resistance. On request, food grade version is possible. Control cables enable problem-free and flexible integration of metering pumps into automatic control loops. The relief valve protects all system components against damage due to pressure overload. With fixtures, to hold one metering pump. Replacement diaphragm for diaphragm metering pumps. The replacement part kit in general includes the wear parts of the liquid ends. Metering diaphragm, suction valve, pressure valve, valve balls, gasket set (for diaphragm metering pumps).